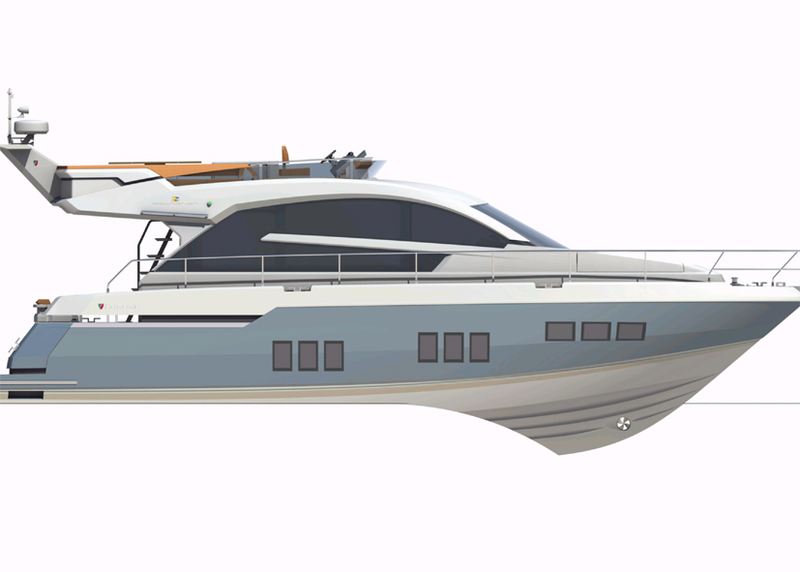 British boat builder Fairline have announced their new Squadron 50, incorporating some of their new design and innovation technics the Squadron 50 will be the 2nd smallest addition to their Flybridge range after the 42 Squadron. Some of the key features of the spacious Flybridge is the saloon which has huge panoramic windows that let natural light fill the area. Another first on a Fairline motor yacht is the galley position which is aft in the saloon, allowing easy access for al fresco dining in the sociable cockpit area. 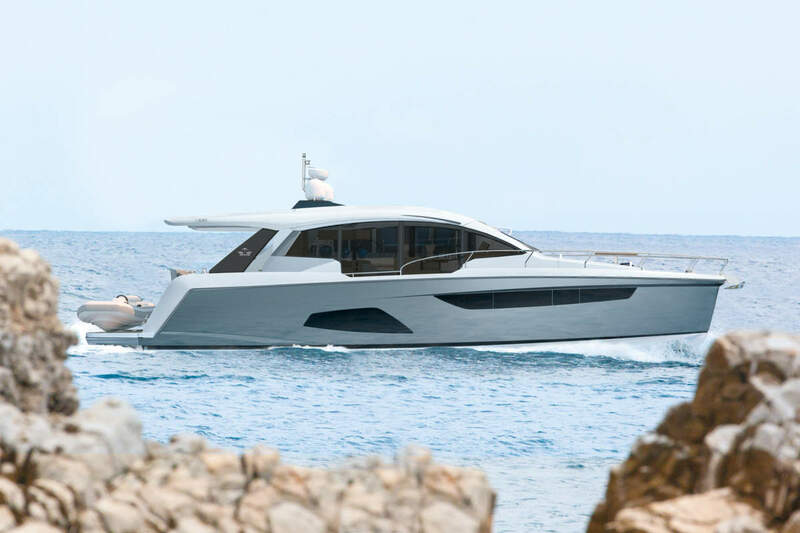 It has a three cabin setup, two en-suite layout includes a master cabin with the size of accommodation that would normally be expected on a yacht of 60ft plus. The two additional twin cabins comprise two beds which can be converted to doubles. 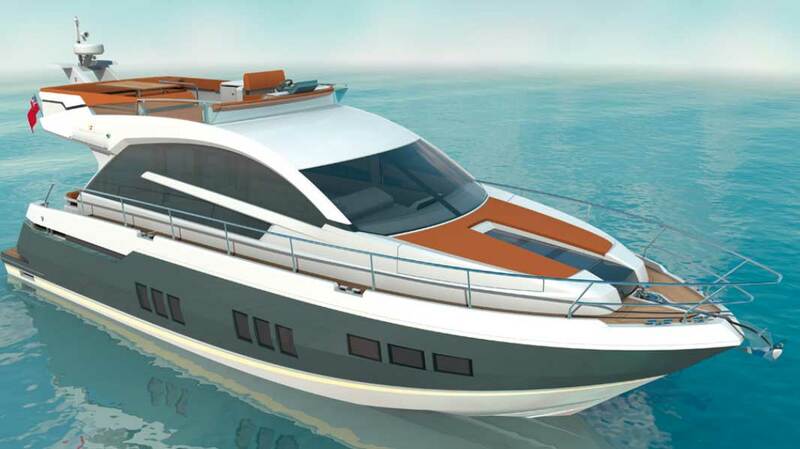 An optional fourth-crew cabin with feature transom window is also available. The large flybridge provides plentiful areas for entertaining and relaxing, and the upper helm position has been located portside to enable an even clearer view of the rear platform when mooring. 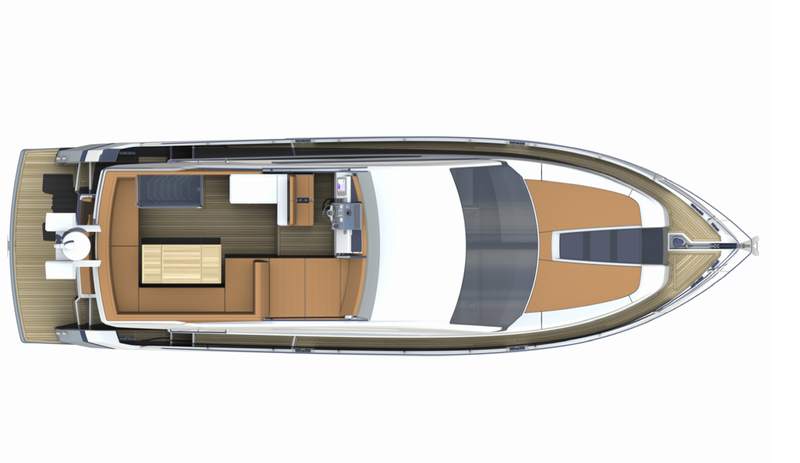 The Squadron 50 fits perfectly into the new design and functional layouts of Fairline’s ranges and will be a certain head turner when it hits the water in 2011. Absolutely gorgeous – well done Fairline, Why can’t other UK manufacturers be like you !!!!! !